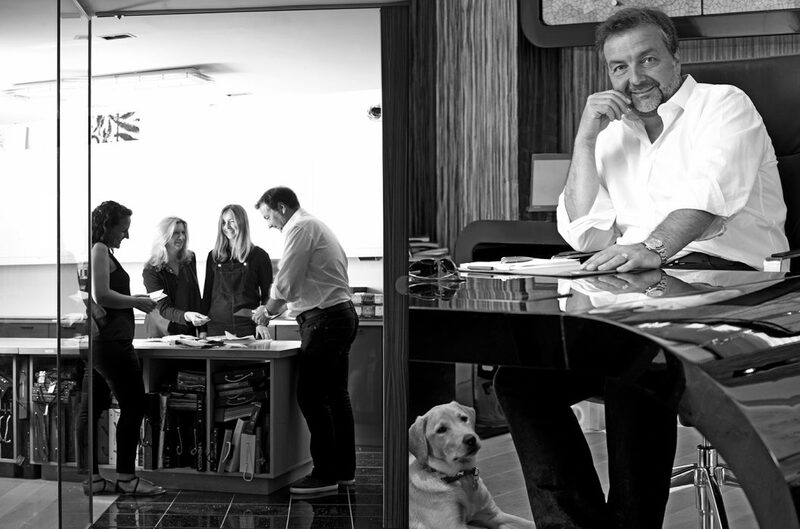 Jonny Horsfield established the H2 design studio in London during 1994. In the early years of the business they worked almost exclusively on yacht refit projects which gave them a broad experience of working to strict time frames in different design styles with varying budgets. During this period H2 built an enviable reputation amongst the yacht community for being the refit design experts. We are a design company here to serve our customers and, as such, H2 pride ourselves in not having a “house style” that is replicated for each client. Instead our portfolio is wonderfully diverse, enabling us to work in any style the client prefers. This is both stimulating for us as designers and comforting for our customers. "H2 PRIDE OURSELVES IN NOT HAVING A 'HOUSE STYLE'"
For most clients the project will begin with the exterior styling and it is often the stage they love most! However, developing the exterior ‘styling’ of a yacht is a complicated and fluid process, requiring the integration of all technical and regulatory requirements, as well as meeting the client’s demanding interior space needs. All these are fighting for priority in a finite amount of space. The exterior styling has to develop alongside the general arrangement (or plan). Because of this customisation process, every yacht should be slightly different to the last. The exterior design process begins with a period of loose sketching and concept development in conjunction with the general arrangement. 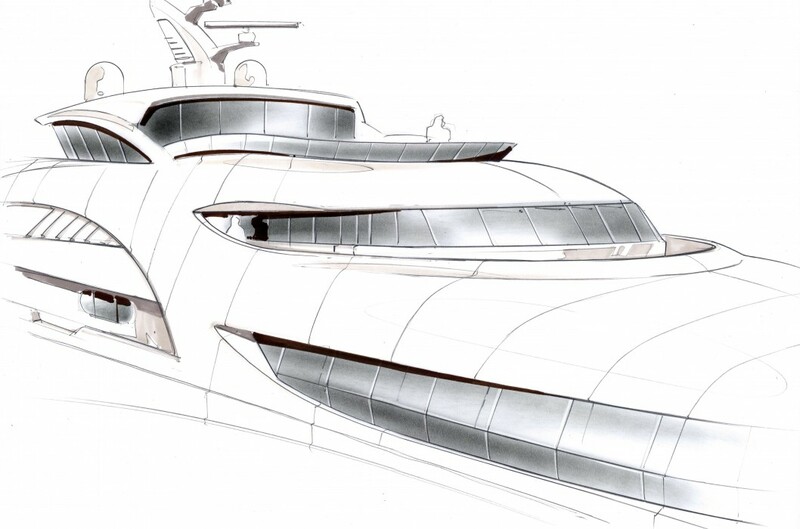 Once the owner has selected their preferred concept, H2 will produce a detailed 3D exterior ‘computer generated’ model, from which the shipyard can take accurate design information. An increasingly sophisticated area of yachts is the exterior deck. 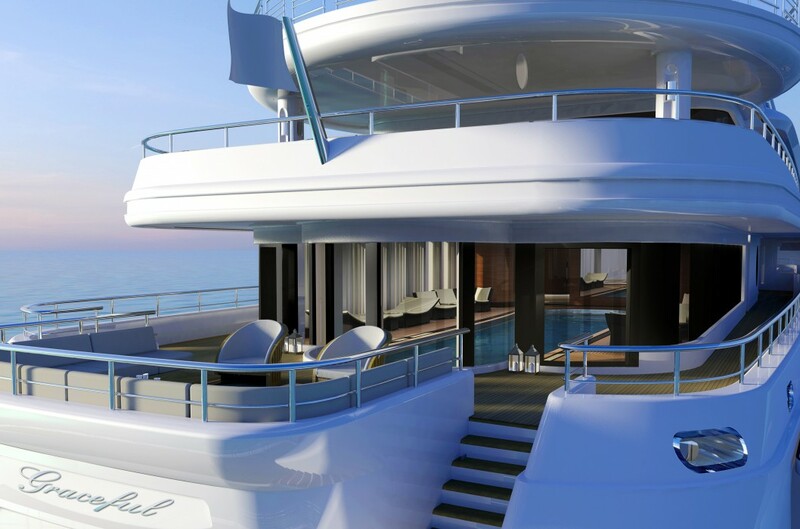 As well as being responsible for the exterior styling of the yacht, H2 will also develop the exterior deck, seating and dining areas, as well as swimming pools or jacuzzis, and supply the yard with 3D details of all fixed furniture, seating, bars etc. We will of course select the exterior fabrics and towels for you, choose the loose exterior furniture, as well as all the tableware for outdoor life. 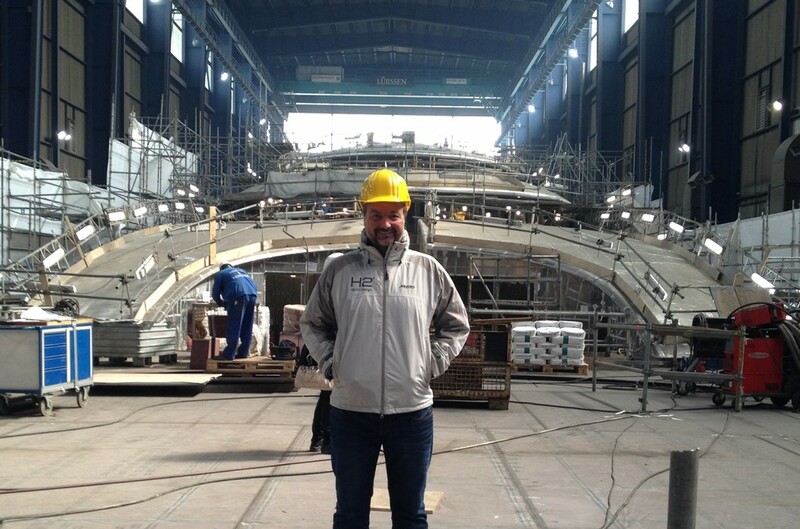 Once the owner has selected their preferred concept, H2 will produce a detailed 3D exterior ‘computer generated’ model from which the shipyard can take accurate design information. The model is also used to provide rendered views of specific exterior details and deck areas. An increasingly sophisticated area of yachts is the exterior deck. As well as being responsible for the exterior styling of the yacht, H2 will also develop the exterior deck, seating and dining areas, as well as swimming pools or jacuzzis, and supply the yard with 3D details of all fixed furniture, seating, bars etc. We will of course select the exterior fabrics and towels for you, choose the loose exterior furniture, as well as all the tableware for outdoor life. Exterior designers will liaise closely with the yard on a regular basis for the length of the build process, to supply them with information and to resolve any outstanding design issues. This is normally in the form of a monthly meeting held at the shipyard, as well as regular communication by e-mail /phone. Established in 1994, our studio is located in a quiet courtyard just by the river in Putney, south west London. We are close to the major fabric and furniture houses as well as being only 30 minutes from central London and Heathrow Airport. 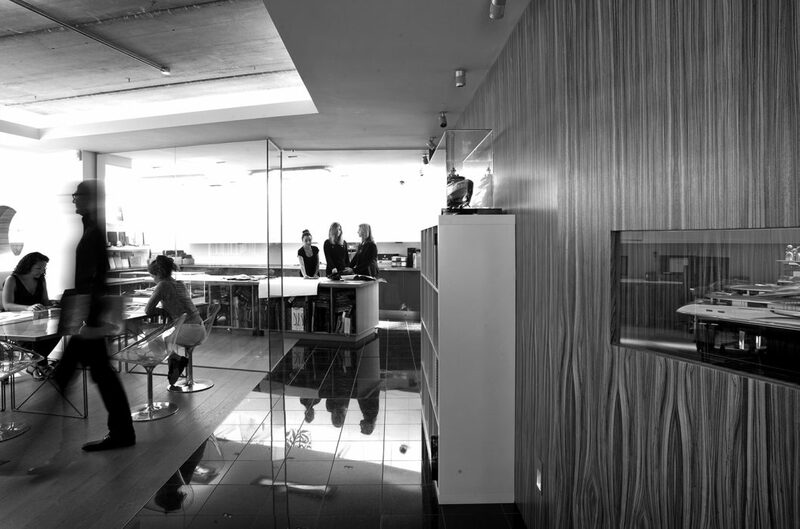 Our studio was specifically designed to inspire our team in their work, with open plan work spaces filled with light. Our comprehensively stocked fabrics room has thousands of samples, allowing us to generate colourboards in a cohesive and imaginative way. Our suppliers are all close-by and play an important role in resolving and refining their products to meet our exacting standards. H2 has been growing since 1994 and is widely recognised as one of the most innovative and technically competent design teams in the yacht world. Our team shares a deep commitment to their work as well as enthusiasm for each project. With 20 years of experience, we are continuously evolving our creativity, resulting in some of the most spectacular yachts, jets and residential properties in the world today. 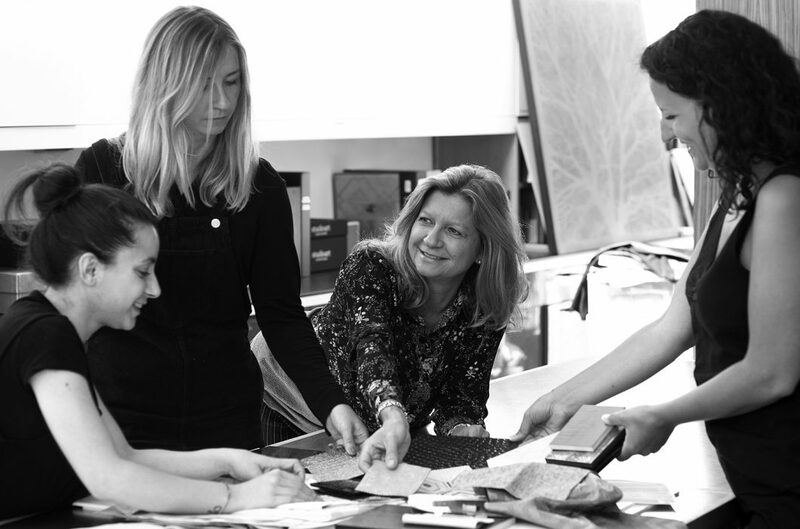 Our team is made up of a multi- disciplined group of designers and assistants, including Exterior stylists, Interior Architects, 3D visualisers and FF&E Designers, working collectively in a relaxed, informal environment.